According to a new study published in the journal Obesity Science and Practice, soda, fast food, and junk food may not be the primary causes of America’s obesity problem. Although these sugary and salty foods are not great for your health, scientists didn’t find significant differences in the amount these foods consumed by normal weight and overweight people. Researchers believe that the problem is not necessarily with the food itself, but with Americans eating too much. Dr. Just stresses that simply cutting out junk food is not going to solve anything; however, it doesn’t mean that it’s okay to eat junk food since it still isn’t good for you. He notes that a broader approach is required to fight this obesity problem. “We are eating too much generally. We need to cut back on our total consumption. We need to be better about exercise,” Dr. Just recommends. For the study, Dr. Just and colleagues obtained data from a National Household and Nutrition Examination survey that took place from 2007 to 2008 and analyzed nearly 5,000 adults from the U.S. The team discovered that candy, fast food, and soda consumption was not associated with weight gain for 95% of the population. People who were either extremely underweight or severely obese were exceptions; these were people who ate more fast food and fewer vegetables and fruits. Previous studies have associated candy, fast food, and sugar-sweetened beverages with type 2 diabetes, weight gain, and heart disease. Heller states that the diets of overweight or obese patients are typically high in sugar and junk food. 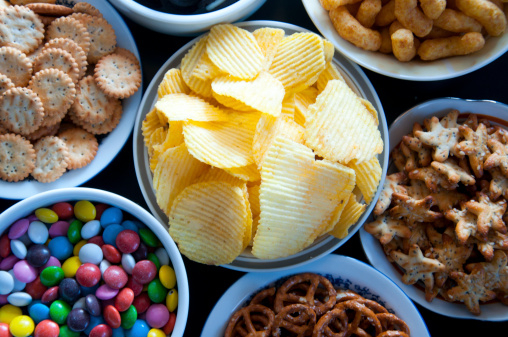 Since highly processed foods can trigger cravings for more of the same types of food, these types of diets result in a continuous cycle of craving unhealthy foods. Heller suggests that patients should concentrate on making healthy and affordable dietary habits instead of simply counting calories. Reinberg, S., “Junk Food Not to Blame for America’s Obesity Epidemic: Study,” MedicineNet.com, November 5, 2015; http://www.medicinenet.com/script/main/art.asp?articlekey=191695.